Tocumen International Airport is not the only major structure being improved in Panama. The Colon 2000 cruise terminal, located on the Atlantic side of the country at the entrance to the Panama Canal within what is billed as the world’s largest free zone, is undergoing a major upgrade that will include a massive rebuild and expansion of the duty free shopping area. 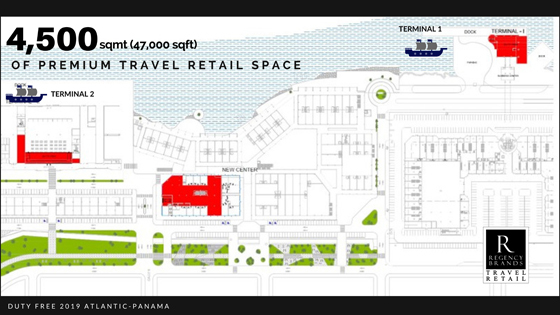 Regency Group, a privately owned multinational company with headquarters in Panama, is developing some 4,500 square meters of premium travel retail space within the terminal, set to open early in 2019. Some 1,000 square meters of this space will be a dedicated duty free cruise port store carrying all the major categories, along with luxury fashion products and watches and jewelry. Primarily a home port now, the developers say they have confirmed port calls for Colon 2000 from nearly all the major cruise operators, including Carnival, Royal Caribbean, Norwegian, Holland America and MSC, as well as luxury lines Celebrity, Seabourn, Azamara, and Crystal, among others. Regency Group, with major operations in Central America, the Caribbean, Colombia, Ecuador, Peru, Uruguay, Paraguay and Chile, is a leading regional player in retail, real estate development, banking, insurance, tourism, energy and logistics businesses. The Group reports that it has more than 75 years of uninterrupted retail experience and customer satisfaction in the region. Through its distribution center and warehousing infrastructure, along with the experience and know-how in dealing with customs and import departments in the countries in the region, the Group has the ability to import and deliver product direct to retail locations in less than 24 hours of arrival. Regency brings an extensive retail background to the new venture. The Group owns and operates 358 retail stores in 12 Latin American countries, with a workforce that exceeds 5,000. Regency Group has particularly strong experience with fashion brands and operates fashion retail stores throughout the region. “We are dedicated to customer service and satisfaction and have a mandate to work with premium brands, a category in which we are leaders in the segment. 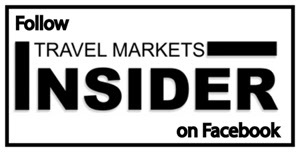 We also have a mandate to operate only first class locations, with consumer oriented store designs and enhanced product presentations,” says Ronny Basher, Travel Retail General Manager at Regency, who is overseeing the operation. “We intend to make Colon 2000 the largest travel retail facility in the Caribbean and a fun and entertaining shopping destination,” he adds. For more information about the duty free opportunities in Colon 2000, please contact ronny.basher@regencytrade.com.